The Nail Station in Huntington, Indiana uses an assortment of cranberry inspired products for a nourishingly tart pedicure service. The Nail Station uses: Haken Mineral Spa Crystals, Spa Yogurt Mask, and Whipped Body Butter (in Cranberry); Source Vitál Bio Essential Anti-fungal Oil, Aromatic Algae, Cool Mask, and Nourishing Body Cream; Spa Essential paraffin strips; Pinnacle by FPO Nurture Infused Therapeutic Paraffin (in Kicked Up Cranberry); base coat, top coat, and polish. 1. Fill the pedicure basin with warm water. Add two tablespoons of Haken Mineral Spa Crystals (in Cranberry) and two drops of Source Vitál Bio Essential Anti-fungal Oil. Soak the client’s feet. 3. Spritz the client’s foot with Source Vitál Aromatic Algae. Exfoliate with a foot paddle and rinse in the basin. Dry foot. 4. Apply Haken Spa Yogurt Mask (in Cranberry). 5. Dip Spa Essential Paraffin Strips in warm Pinnacle by FPO Nurture Infused Therapeutic Paraffin (in Kicked Up Cranberry). Apply four strips to each foot. 6. 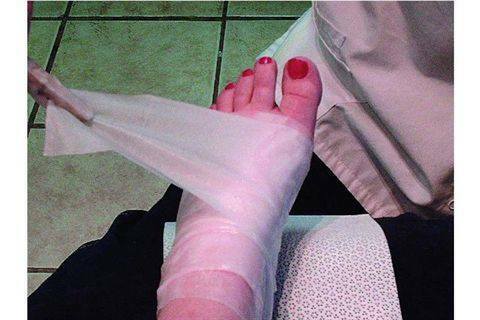 Wrap feet in plastic bags, then slip them into foot booties. Let the client relax for five minutes, then remove the booties, bags, mask, and paraffin. 7. Massage feet for two minutes. Apply Source Vitál Cool Mask to feet. Wrap feet in towels and let sit for two minutes. 8. Massage feet with Source Vitál Nourishing Body Cream for two minutes. 9. Apply Haken Whipped Body Butter (in Cranberry) to legs and massage for two minutes. Follow with warm towels. 10. 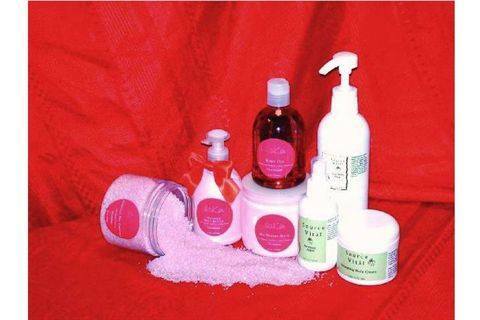 Cleanse nails, then polish or buff to a shine.